You can test-drive the release inside the “standalone” Icinga Vagrant box, and download it here. 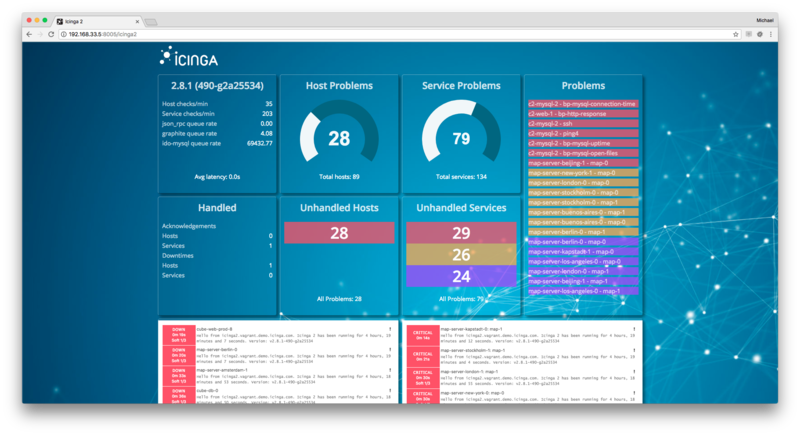 Christmas brought you Dashing for Icinga 2 v1.1.0 and many things happened ever since. Community members joined the forums and issue tracker with questions and enhancement ideas. We’ve also had a hidden v1.2.0 release which added changes to the backend. Now it is time to focus on the frontend again with v1.3.0. 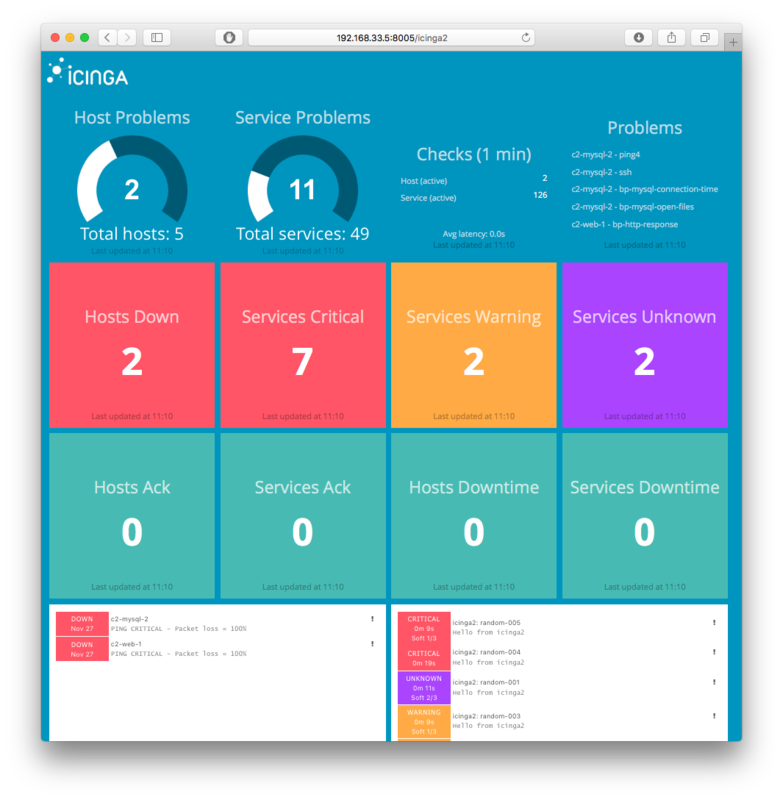 When we had the Icinga 2 REST API released with v2.4 we thought about possible demo cases. One of the many ideas was to create a simple dashboard based on Dashing. There is a variety of Dashing implementations already around, either using DB IDO, Livestatus or the CGI JSON export. None of them expose all the core runtime data you will get using the Icinga 2 API. 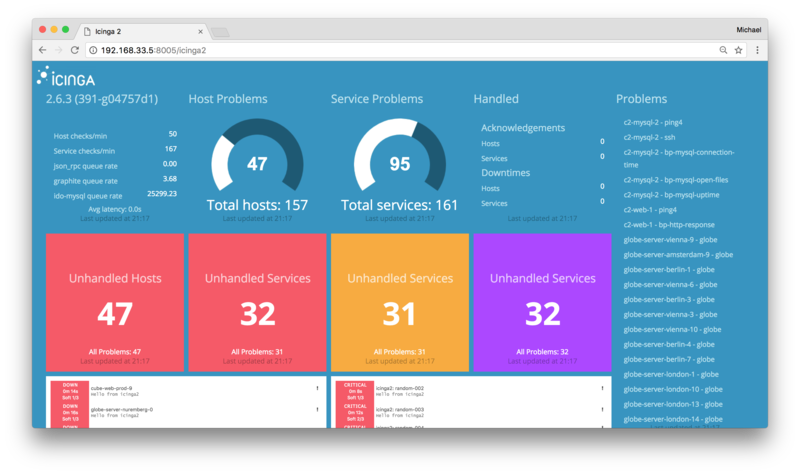 And so Dashing with Icinga 2 began as a fun demo project for Icinga Camp talks. We wrote about Dashing earlier this year already and you probably know that it is fully integrated into the icinga2x Vagrant box. What we did not expect was the community feedback and patches we received over the past months. Overwhelming! Right before OSMC we decided to add more features, and tag a first release. The announcement didn’t happen yet and some more changes also have been implemented during the OSMC hackathon. 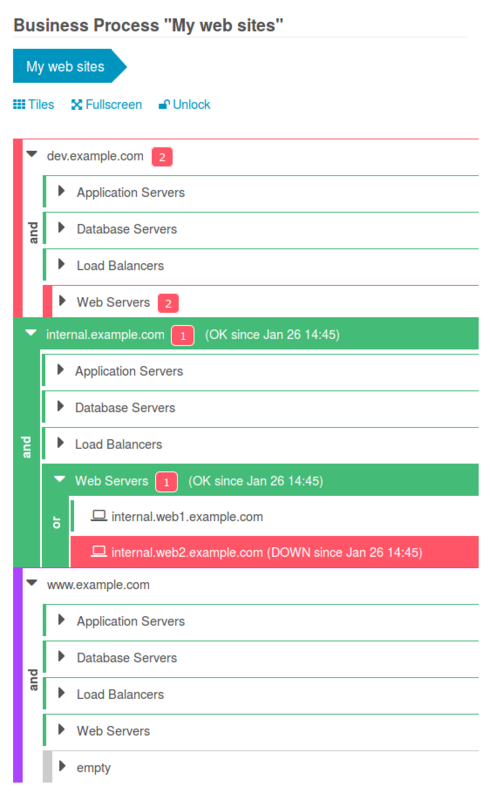 After the political harassment happened in January, the renamed Monitoring Plugins project (former Nagios Plugins) has worked hard to release the next version – Monitoring Plugins 2.0. Download away and poke your distribution maintainers to update their packages with the new name or at least use the original sources.